Which lottery team is best set up for the future ahead of the draft? Which bad team has the best future? Finishing as a lottery team is not the most envious position to be in for an NBA organization. Finishing near the bottom of standings might ensure a high draft pick (if the teams are smart enough not to trade it), but in order to get that high selection, a franchise has to endure a lot of losing over a long season. Some teams embrace the tank, while others stumble head first into the lottery. Some teams are prepared, while others are in trouble going forward. Out of the bottom eight teams in the standings heading towards the lottery, which is best set up for the future ahead of the draft? The Cavaliers are still on the downswing in the post-LeBron era. Building a competitive team and (rightfully) going for it and winning an NBA Championship crippled the team’s immediate future. Cleveland lacks star talent on their roster and doesn’t have enough good young players to speed up a rebuild. Outside of point guard Collin Sexton (the Cavs’ first-round pick in 2018), there’s little in terms of building blocks. Small forward Cedi Osman might have a future with the team, but he’s little more than a good role player. Cleveland does have two first-round picks at their disposal. Getting a franchise player should be their number one priority. The cupboard can’t be as bare next season as it was this year. Financially, the Cavaliers have more money owed to players next season than this current one. In 2020-21, almost every big contract besides Kevin Love and Larry Nance Jr. could be off the books. Cleveland is still a season plus from making any positive momentum on their future. Memphis has made some headway on rebuilding after landing small forward Jaren Jackson Jr. with the fourth overall pick in the 2018 NBA Draft. Jackson Jr. has proven to be a dynamic two-way player. His lengthy 7’4″ wingspan makes him a terrific defender, and he has shown promise as an offensive player with solid three-point shooting and scoring. The Grizzlies need to build around Jackson Jr. Memphis has solid young role players, but need another promising starter to pair with their young star. The Grizzlies’ first-round pick might end up in Boston if it falls outside the top-eight, thanks to the 2015 Jeff Green trade. If they do keep the selection, they need to make the right pick. The club doesn’t have a wealth of draft picks going forward and can’t afford to miss on lottery picks. Whether it’s nabbing a point guard to eventually succeed Mike Conley Jr., or a small forward with three-point range, there are a lot of needs to fill. Memphis’ cap situation isn’t favorable. They still owe Conley Jr. and Chandler Parsons nearly $58 million combined, and only have $5 million of projected cap space coming off their books. Still, if they can, they should sell high on their remaining veteran talent and completely bottom out in order to build assets. The Grizzlies have potential, but they can not divert from a rebuild. The Pelicans’ future rests solely in the hands of a potential Anthony Davis trade. The power forward is a top-five player in the league and has tremendous value despite a rocky year off the court. New Orleans has (and most likely will continue to) asked for a king’s ransom for the All-Star. It would be shocking if the Pelicans could get their reported asking price of four first-round draft picks for Davis, but getting multiple first-round selections and some good young players isn’t out of the question. If New Orleans can get a fair return, they will have all of the acquired assets, plus their 2019 first-round pick, and potentially $20-30 million in cap space to work with. It’s not the worst situation to be in. Losing Davis — the team’s longtime franchise player — will sting, but the Pelicans can leverage his trade demand into some real pieces and rebuild on the fly. On paper, the Knicks are setting up for a big summer. New York cleared out a ton of cap space in the surprise Kristaps Porzingis deal and are positioned well to be a big-time player in free agency with two available max contract slots. Losing Porzingis hurts, but between Dennis Smith Jr., Kevin Knox, and Mitch Robinson, their young core is in okay shape. Throw in a potential top-three pick and the Knicks are on the path to success, right? Well, no. The Knicks are still the Knicks. Just because they have positioned themselves to be active on the free agent market and have some decent prospects and picks doesn’t make it a sure thing they will make the right moves. New York has been mediocre for a long time for a reason. They constantly get in their own way. If that happens this summer, they will squander an incredibly good chance to make the team relevant again. The Suns are without a doubt the worst team in the NBA. Besides All-Star Devin Booker, DeAndre Ayton and Mikal Bridges, there is almost zero to like about their roster. Booker is a dynamic young player asked to do way too much for a desperate team. Ayton, meanwhile, has shown promise as the number one pick in the 2018 NBA Draft, but his playstyle feels dated. Regardless, Pheonix is not putting out a watchable product. "Devin is the face of the franchise. He's the present and future of this team." With a likely top three pick, the Suns need to start hitting their first round picks. In the last three years, they have drafted Dragan Bender, Marquisse Chriss, Josh Jackson, Ayton, and Bridges in the first round – all of whom except Bridges were top-10 selections. Getting one (maybe two) good players with five lottery picks is horrendous drafting and developing. It’s time for them to move on from their past mistakes and build around Booker the proper way. Phoenix needs to hit a home run with their pick and use their open cap space to build a team worth watching. Booker and Ayton are a good start. But, adding a top pick and a point guard will help the rise above mediocrity. The Bulls are a poorly managed team with a questionable head coach in Jim Boylen. But — somehow — Chicago isn’t in as bad of shape as you might think. 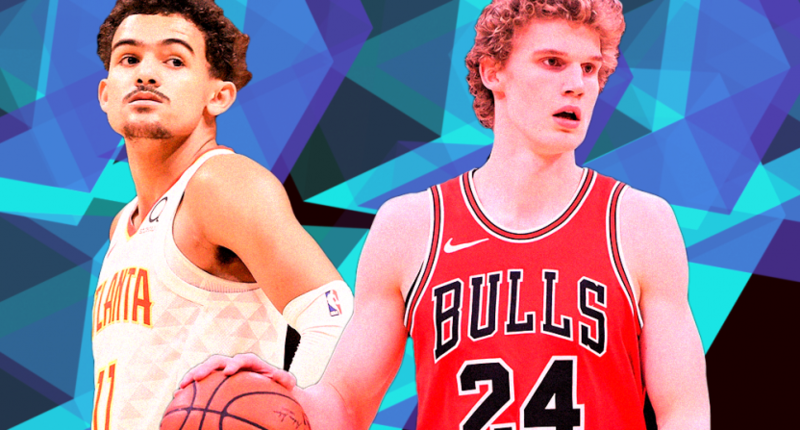 Sophomore forward Lauri Markkanen is a legit superstar. He has the perfect skillset for the modern NBA- the rare seven-footer who can space the floor and score in a variety of ways. At 21, he’s already a legit scorer with tremendous potential. Besides Markkanen, Zach LaVine has shown to be an effective, high-volume scorer. Meanwhile, Wendell Carter Jr. is a great defensive presence and perfect fit alongside Markkanen. The Bulls have a good foundation, plenty of cap space, and have kept their first-round picks instead of needlessly trading them. The only thing stopping Chicago from taking the next step is their management imploding. There’s a lot to like about the Bulls. The Hawks were crucified for trading down and sending international star Luka Doncic to the Dallas Mavericks for Oklahoma sharpshooter Trae Young and a future first-round pick, but with time, the move turned out to be a win-win for both clubs. While Doncic currently has the edge on impact and potential, Young has overcome a slow start to show he belongs in the same conversation as the player he was traded for. At 20, Young is an elite passer. Young’s shooting has been hit or miss, but as he’s gotten more comfortable at the professional level, the more his shot and decision-making has improved. Young is not the only great young player the Hawks have drafted, as power forward John Collins has emerged into a young star in his own right. Young and Collins have the potential to be the Hawks version of the Steve Nash and Amare Stoudemire-led Suns. Seriously, they are that good. Atlanta will likely have two top-10 picks in the 2019 NBA Draft and have the chance to add to a rock-sturdy foundation. The Hawks are also loaded with cap space. This summer will be massive for the team’s future. There’s no question the Mavericks scored by acquiring Doncic in last summer’s draft. Dallas scored even bigger when they managed to pry Kristaps Porzingis out of New York at the low cost of Dennis Smith Jr. and taking on a ton of salary. Solely having those two guys gives the Mavericks an enviable core of superstar talent. It’s easy to forget just how good Porzingis is since he has missed the entire year with an ACL injury. The 23-year-old is incredibly mobile despite his 7’3″ size, can shoot the ball from anywhere on the floor and can defend the rim. Now, imagine him with Doncic feeding him passes and spacing the floor. It’s a recipe for immediate success. The Mavericks might not be flush with cap space. They probably won’t have a first-round pick in the 2019 NBA Draft. But what they do have are two of the most uniquely-skilled, young basketball players on the planet. They could (and should) be a playoff team as soon as next season, and be really good for a long time.